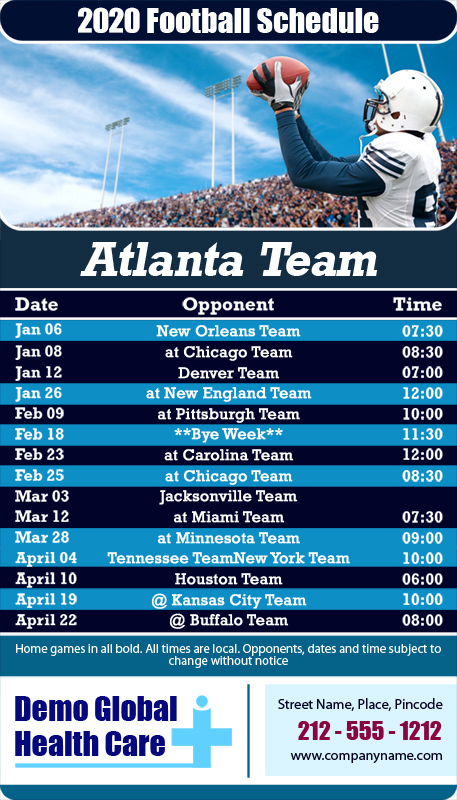 Custom 4x7 inch one team Atlanta Team football schedule is being largely handed out by advertisers in Atlanta who are targeting sports crazy fans. It offers them easy entry into their consciousness and helps them to grow as a brand. Many sports crazy fans retain this magnet as a -memoir of the great sports season, refrigerator art and brand reference token.